Melbourne-based studio Articolo continues to explore new forms and pairings of elegant materials in lighting design by adding three new ranges to its collection. Inspired by the sunlight streaming across the horizon at dawn, the Glimpse pendant features a horizontal, mouth-blown glass shade that seems to suspend in mid air thanks to the two slender brass rods. 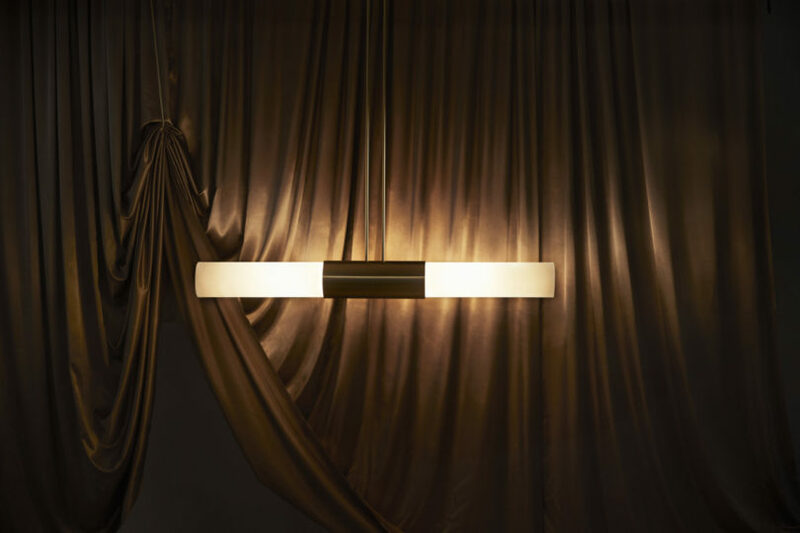 The Glimpse comes in two versions: a clear glass shade that reveals the elongated light source within and an opaque finish that casts a more subtle glow. The Trilogy pendant, named for its trio of mouth-blown glass orbs, is a softly-illuminated fixture that highlights the glass material. It’s supported by three solid brass rods with a central cuff detail, a solid example of Articolo’s sophisticated engineering and exploration of form. Last but not least, Float is a collection of fixtures defined by its use of the cylindrical form. It is now also available in a ‘Capped’ iteration with a bronze cap and an intricate leather detail that acts as a bridge between the shade and the wall.